Situated in Ahmedabad at Prahlad Nagar, Rashmi Prahladnagar Trade Centre is a residential development launched by Rashmi Engicon. This project provides a vast range of amenities including Visitor Parking, Conference Room, Air Conditioned, Internet / Wi Fi and Power Backup. Prominent suburbs of Ahmedabad are close by and with several schools, hospitals, banks and offices situated in the proximity, the project is a preferred choice for home seekers. 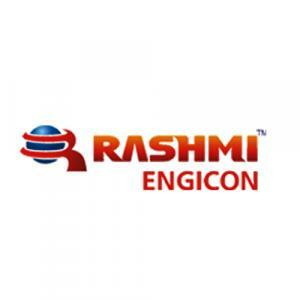 Rashmi Engicon Pvt. Ltd. has been a trendsetter in designing of the buildings with expensive landscaping. The company is equally adept at fulfilling not just the consumer needs but also their fancies. Integrity along with quality, reliability and customer satisfaction are their intrinsic strengths.Rashmi Engicon focuses on what they have and nurture it with care because they know that the company will grow only if the people associated with the company grow. Their intention is to provide ultimate product to their customers ensuring quality in design and construction, while upholding the aesthetic appeal along with the maximum efforts to construct environment friendly homes. Rashmi Engicon presents to you the home of your dreams. State-of-the-art construction, exclusive locales, excellent facilities and personalized service are all a part of the stay package.